I configured everything for PhpStorm and xdebug to work, I'm running Ubuntu 14.04. I also validated the remote debugging env. it's all good. https://www.jetbrains.com/phpstorm/help/validating-the-configuration-of-a-debugging-engine.html which also came out fine. Where is the bash variable supposed to come from? Debugging a file named «test.php» in IntelliJ IDEA / PhpStorm can lead to the «Cannot evaluate expression 'isset($_SERVER['PHP_IDE_CONFIG'])'» failure. Use another name for file. I had this problem as well and tried every trick I could find, but nothing worked. For me, debugging works most of the time, but sometimes it just stops working with the message: "Cannot accept external Xdebug connection: Cannot evaluate expression 'isset($_SERVER['PHP_IDE_CONFIG'])'"
So I eventually realized I had a compilation error in my code (misspelled method name - PhpStorm does not always report these things, at least in my setup). As soon as I corrected the error debugging started working again. Maybe this can help someone struggling. Although I still have issues with breakpoints not being hit, I can throw in a "xdebug_break();" line in the code and debugging becomes more reliable. The downside with using xdebug_break instead of breakpoints is (apart from the fact that it's more work than just adding a breakpoint) the local variables not being displayed in the PhpStorm debugger for some reason (only globals are shown). That makes debugging less convenient, but at least I can make it work. I had the exact same error in PhpStorm as the OP. This answer to a different question solved the problem for me, but I would like to add more detail in my own answer. The main issue was improperly loaded xdebug. The server mapping issues mentioned in other answers was not an issue for me. Then you have to fix that before you try anything else! But sometimes this can take some work to track down, if you have multiple php.ini files. 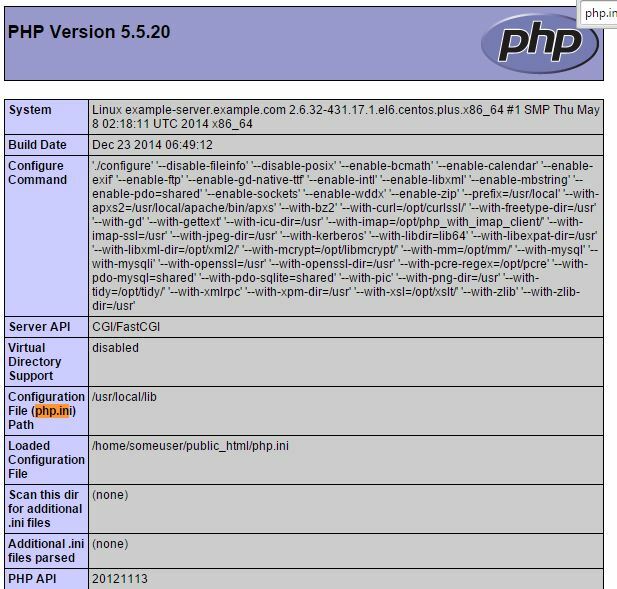 Also in your phpinfo() page, search for "php.ini", (it should be right near the top) and see your "Configuration File (php.ini) Path", and your "Loaded Configuration File". Those are where your xdebug may be loading. After fixing that, remote debugging with PhpStorm is working again for me. Later, I found the "Command is not available" error in the xdebug log on my server, which led me to the solution. ;extension=xdebug.so <- this is the bad line commented! Another thing is to make sure that you disable any firewall you have and which might block remote connections. For this, I would suggest using ssh tunneling. That way you keep your firewall in place and still can do the remote debugging. It will work even if you don't have access to the firewall/router settings. It was a bit tricky to set up though. You have to pay careful attention to the tutorials. I have recently had the same problem attempting to debug using PHPStorm under nginx and php-fpm, in my case this was not related to the xdebug, nginx or php-fpm config, it was the path mappings in phpstorm that were missing. Initially PHPStorm will notify you when it cannot map a file on the server to a local source file however if it has a mapping to the first files hit ( normally index.php or some such ) but it cannot map a file used at a later stage ( in my case this was the autoloader in the vendor directory of a project using composer ) then PHPStorm will not be able to debug any further and debugging will stop. In order to rectify this in PHPStorm go to settings/Languages & Frameworks/PHP/Servers and ensure the root of your project is mapped correctly to it's counterpart directory on the server. PHPStorm should then be able to map all the files in your project and debugging should continue. For anyone else coming to this issue, there is another potential configuration option that you could be missing. Make sure that you have correctly configured your server to use the correct path mapping between your local and remote files. For example, if your site root is mounted locally at /home/foo/www/mysite but installed on the server at /www/mysite then you will need to edit your server configuration in PHPStorm to use path mappings (simply enter /www/mysite in the box alongside /home/foo/www/mysite). It's making me do this for every single file individually, it won't let me just set mapping for the top level folder. Any ideas? Hey - just set it at the root folder and all other files should be relative to that.